Hello friends and welcome 2018!! What an amazing time Chris and I had over the holidays with Christmas markets at every square in Germany. 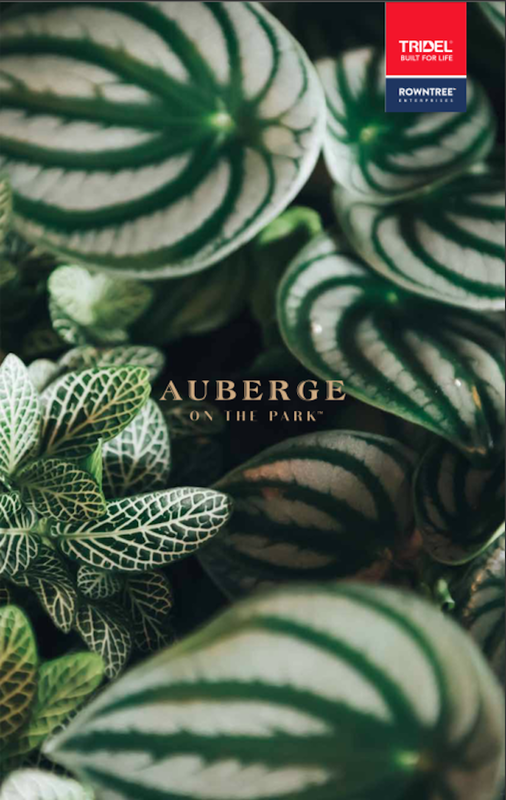 I can't wait to plan my next #eurovacay this summer and maybe a visit in December again to celebrate a couple of big birthdays! Back at the home front, the bomb cyclone has arrived and brought with it the deep freeze temperature. #Toronto is now a city of white. While I stay indoor to seek refuge from the extreme condition, I figure why not focusing on my happy moments from 2017 today? One Room Challenge is truly an incredible experience. 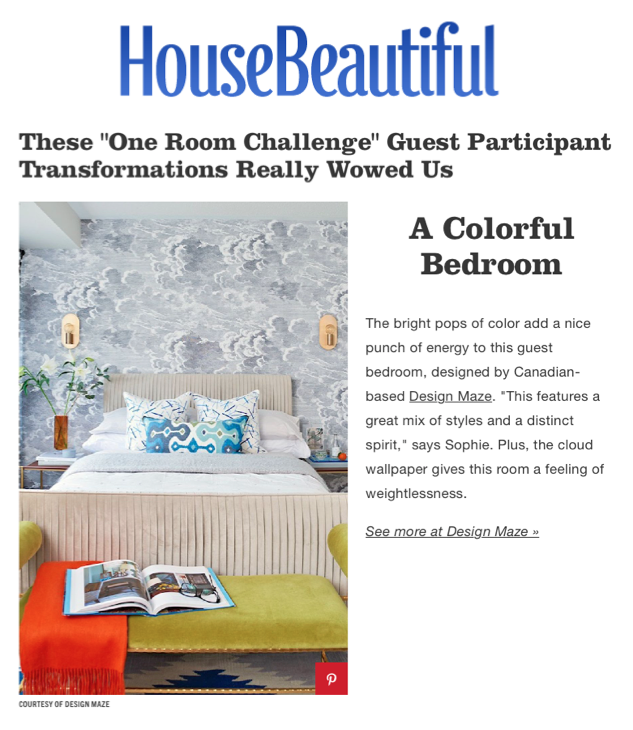 Hosted by Calling It Home and House Beautiful, this twice a year event attracts over 200 guest participants, along side with 20 featured designers, to completely makeover their spaces in 6 weeks. 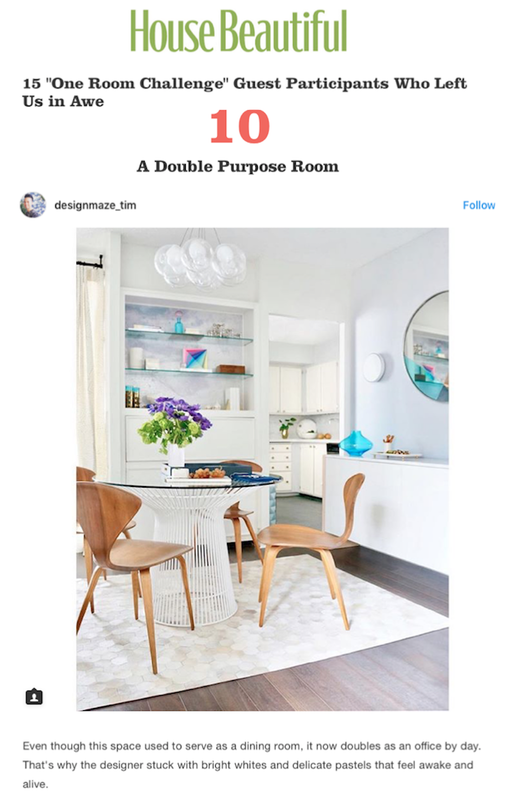 I transformed my dining room in Spring 2017 and re-imagined my client's guest bedroom and powder room in Fall 2017, and I am over the moon happy that House Beautiful has included my spaces in the top favourites! 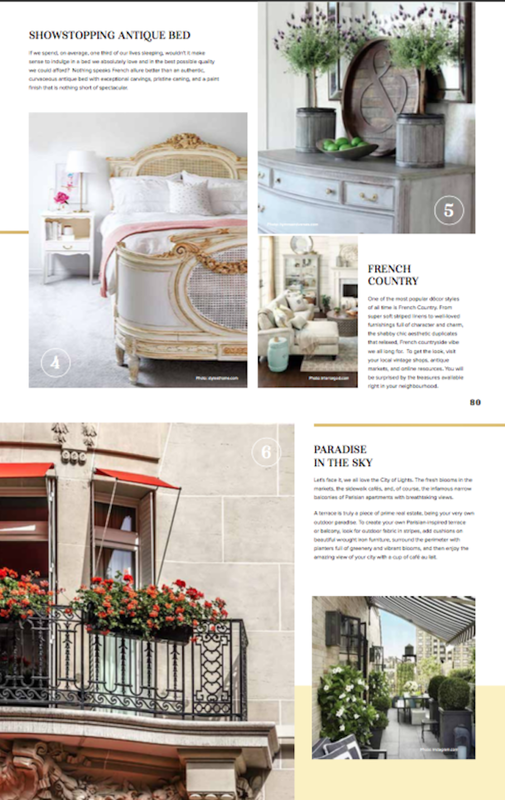 Obsessed with the relaxing, free-spirited lifestyle in Europe, I was thrilled to contribute an article on "The Secrets of French Design" in a Tridel magazine. 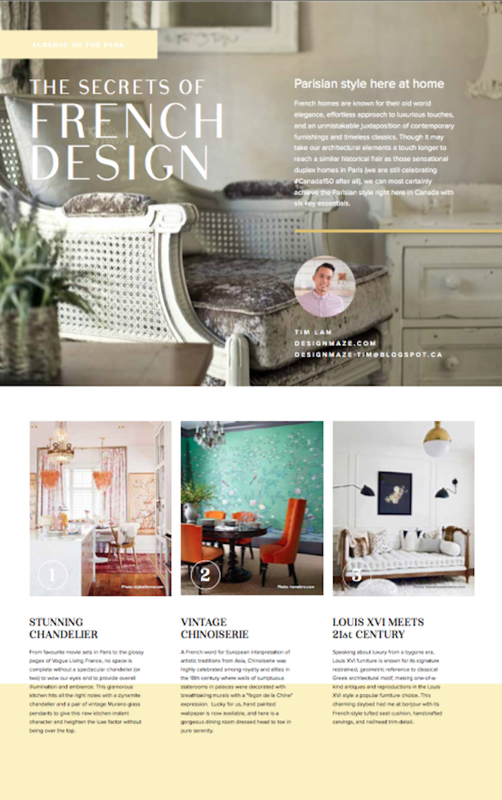 What a fantastic layout and the real question is: now can I just live in Paris?